Bankruptcy has its pros and cons. There’s the tremendous relief that comes from having your debts resolved, but the downside is a poor credit rating. However, if you do file for bankruptcy, you can take practical measures to avoid future debts and to repair your credit rating over time. 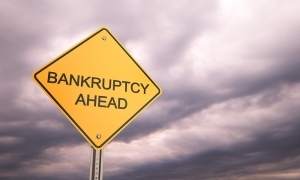 Bankruptcy is not for life. In fact, if you take the proper advantage of filing for bankruptcy, it can be a new financial beginning. It takes some time to get back on track financially, but you can do it with diligence, patience, and the advice of an experienced bankruptcy attorney. If you need to file for bankruptcy or simply need to learn more, speak promptly with experienced Cedar Hill bankruptcy lawyer Richard Weaver. Depending on whether you file a Chapter 7 or a Chapter 13 bankruptcy, all of your unsecured debts will be discharged or paid off by the time your bankruptcy is concluded. You’ll have a poor credit rating, but otherwise you’ll have a “clean slate” financially. Immediately start saving some money each month, and avoid impulse spending. Create a budget and adhere to it strictly. One good way to rebuild credit is with a secured credit card available through your bank. You deposit funds into an account as security, and the limit on the card equals what you have in the account. Another credit-building tactic is applying for a small loan from your bank with a reliable co-signer. Paying off that loan quickly helps you rebuild credit. The rules of bankruptcy in Texas are designed so that diligent, hard-working people who’ve made mistakes can put their affairs in order and get a fresh financial start. An experienced bankruptcy lawyer can help you avoid most of the mistakes that can be made in bankruptcies and can offer you practical and realistic recommendations for rebuilding your credit. If your debts are stacking up faster than you can pay them, for the best advice on debt relief and life after bankruptcy, speak with experienced Cedar Hill bankruptcy lawyer Richard Weaver by calling us promptly at (214) 463-2200. We provide bankruptcy assistance to clients in Cedar Hill and throughout the state of Texas.